As dead as this site is, you don't have to tell people to stop. 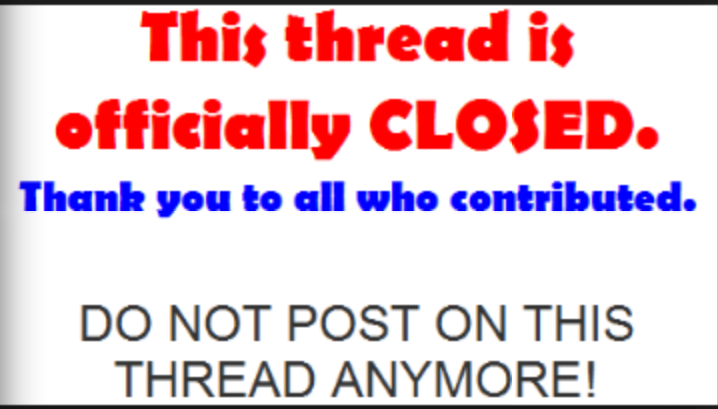 CossackCat: As dead as this site is, you don't have to tell people to stop. i was hoping to reason with you, but then I realized you're another pain in the azz woman! Bandit_Geezer: i was hoping to reason with you, but then I realized you're another pain in the azz woman! Yes, lovely lady. I think if you stopped posting it would be mutually beneficial. You would enjoy your Sunday evening without having to deal with likes of me. Bandit_Geezer: Yes, lovely lady. I think if you stopped posting it would be mutually beneficial. You would enjoy your Sunday evening without having to deal with likes of me. Is this where I join the harem ????? Kersey2: Is this where I join the harem ????? Harem? What are ya talking about, woman? 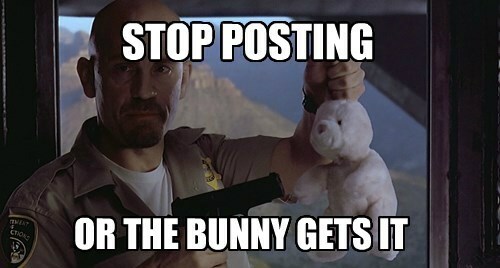 And did you see the sign on the door that said, STOP POSTING? Bandit_Geezer: Harem? What are ya talking about, woman? will you Puhleeze stop posting on this thread? !